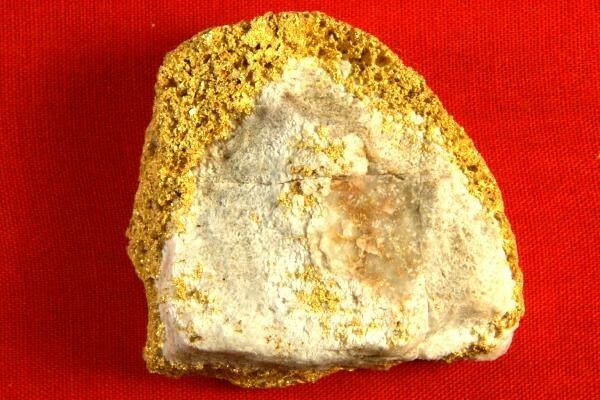 This incredible gold in quartz specimen comes from Burns Creek in Mariposa County, California. 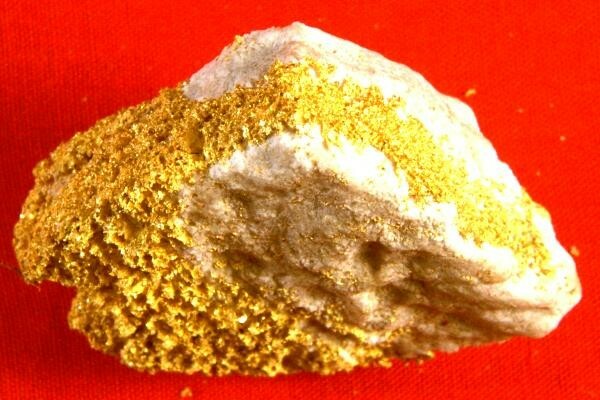 This museum grade gold specimen is loaded with gold. 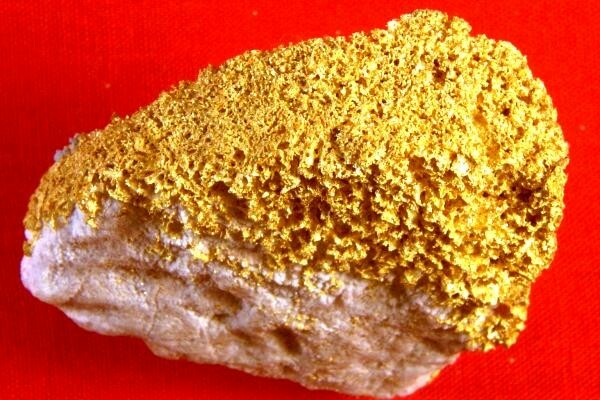 Gold weighs nine times more than quartz so a lot of the weight of this 57.4 Gram (1.85 Troy Ounce) specimen is gold. 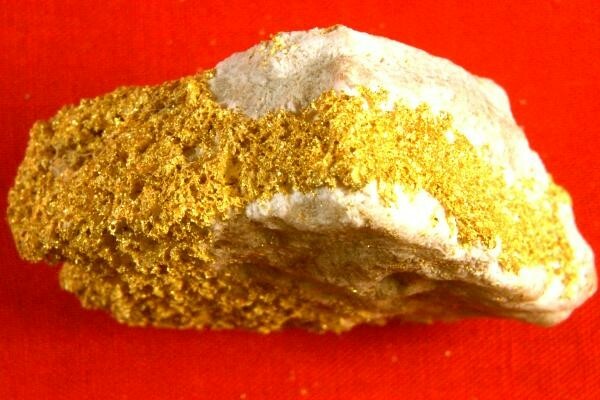 A specific gravity test shows that there is 0.87 Troy Ounce (27.06 Grams) of contained gold. The size of the gorgeous specimen is 1.5" x 1.5" x 5/8". 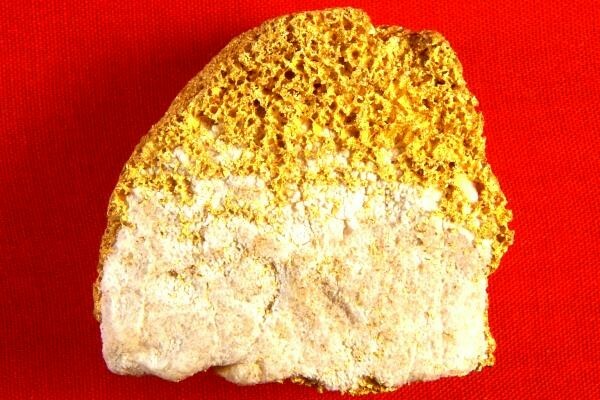 I only have two of these museum grade gold specimens from Burns Creek and I can't get any more.